Careerwise offers paid work placements exclusively for women studying STEM subjects at Scottish Universities, as well as additional careers support and advice to all placementees pre and post placement to boost confidence during the transition into the workplace. They will be at Careers in Engineering this Wednesday 2 November from 2-5pm at Sanderson building Kings Buildings so go and meet them! The placements for this year have just opened for applications, and are being advertised on MyCareerHub. 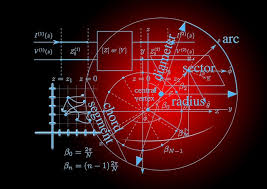 Organisations providing placements include Mercury Engineering, AECOM, KP Technology, CAS, Midlothian Council, University of Edinburgh, Leonardo (Selex), Sestran, Exterity, Marine Scotland, Edinburgh Napier University and Peacock Technologies. More to follow in the next few weeks. Thirteen organisations have signed up to Careerwise, between them offering 29 paid work placements, presenting a unique opportunity for women to gain valuable work experience in key STEM sectors. Placements take place between June and August 2017 and are paid at a salary of at least £16K pro rata. Applications are welcome from women currently studying STEM subjects at any Scottish University. The closing date for all registrations of interest is 25th November 2017. Tara is a final year student here at Edinburgh. She wrote her first blogpost about applying to the European Space Agency (ESA). Here is her second blogpost where she talks about what she did and what she learnt about the job, the ESA, the people – and herself. “With my traineeship at ESA slowly coming to an end, it’s time to look back at the many memorable experiences made and interesting people I met. In the 2 months that I stayed in Darmstadt, a 20 min train ride from Frankfurt, I learnt about the professionalism in the agency and how important good communication between colleagues is. I learnt what it’s like to work independently besides one of the best mission analysts in the world and also receive constructive criticism once in a while. My job at ESA was to improve an orbit determination software called DITAN, which was used for low-thrust trajectories such as the mission BepiColombo to Mercury in 2018. Naturally as an Astrophysics student I was afraid that my programming wasn’t up to scratch but luckily I could pick up the most common routines fairly quickly (so many nested if loops!). With the help of my very patient supervisor I learnt how to make code more elegant and use as little of it as possible. When I wasn’t debugging the Fortran 5000-plus-liner (yes, in the space sector everything gets recycled, including ancient programs from the 70s) tea breaks would take up second priority, as many staff would joke. The canteen was the meeting place of different sections, ages and nationalities. Besides work, other topics of interest such as politics (Brexit more than once) and even personal bests at the last triathlon as part of ESA’s sports clubs were discussed. Similar to all the societies and clubs Edinburgh University offers, ESA has a smaller range of activities to make different nationalities feel at home. During one of the after-work wakeboarding events I noticed once again that ESA really supports a good working atmosphere and also emphasises positive and open thinking whilst not forgetting to be critical as well. Sharing an office with 4 trainees and contractors from Hungary, Belgium and Germany also gave me an insight into their work, although some of their French conversations as one of ESA’s working languages surpassed my 6-weeks taster course level. Nevertheless, on multiple occasions we helped each other with technical issues or generally exchanged ideas and experiences. It was astounding that even though they had come from totally different walks of life their technical knowledge and the art of communicating this in an easily comprehendible way was exceptional. Not only in my department did I notice the conscientious and composed way in which trainees and staff would listen and respond. As most of the staff are international, ESA hosts intercultural events such as the annual fun run, running 5 or 10 km with or without a costume as well as a BBQ, which is themed after a different country every year. This year they chose the UK and Northern Ireland, which the organisers claimed to have chosen before the Brexit campaign started (or they were testing all the British staff’s humour). Costumes ranged from business men, to green leprechauns or simply tea bags and was, besides the roasting temperatures that day, an all-round fun activity. The BBQ didn’t disappoint either and offered all sorts of traditional cuisine, alcoholic beverages such as Pimm’s and a performance by Scottish country dancers and a bagpipe player. And there was me in Germany, thinking I could escape the ever-present bagpipe-melodies known from Edinburgh. Another insightful event was the informal ‘space dinner’ with guest speaker Rolf Densing, director of operations at ESA, who spoke about the future in space and invited all guests to have a chat with him during the German dinner. Surprisingly his predecessor and German Astronaut Thomas Reiter made an appearance too. Although I missed my chance to speak to him, I overheard a story of him at the dinner table when he was sipping his morning coffee and let it drop in mid air still thinking he was in space! These little stories besides many others were exchanged during the meal and made the company even more enjoyable. At the establishment I work at, the European Space Operations Centre, Security takes an important role since million-euro heavy satellites are operated from here. This meant I was obliged to wear a badge with my name and picture at all times and was checked every morning by the international security guards, who I’m sure knew everyone’s nationality off by heart and greeted them with “Guten Morgen”, “Buongiorno”, etc. Equally the staff returned the good deed with respect and a bright smile. Possibly whoever is reading this thinks I’m exaggerating my appraisal for ESA, but with a 100% success rate for all its launched missions, its expertise is world leading and I couldn’t have imagined a better placement with such a lively and proactive vibe to it. Edinburgh physics student Zoe offers her latest blog post from her internship in Coherent in California where free pizza is a nice incentive! For any of you who find giving presentations just a little bit scary, she has some very savvy advice. At the end of my internship, I will also be required to host one engineering seminar. My presentation will last for about 30 minutes and it will include a summary of my internship and the obtained results. I won’t hide that at the beginning I was dreading the idea of this presentation, since I don’t have a lot of experience and talking in front of people is a skill I haven’t practised as much. To be fair, I have presented something twice at University during the end of my third year, once for my “Research Methods in Physics” and once in my “Experimental Physics” class. However, they were both 10 minute long presentations and they differed from the one I am supposed to give at Coherent by an important factor: the audience. Presenting in front of your class and professors is quite different than presenting in front of unknown people who certainly know much more than you on the topic at hand. It will be a challenge for me to stand there and speak with confidence but the more the time passes the more excited I get to do it. For anyone who might be feeling the same way as me, here’s my advice: Think about it as a good practice opportunity for a skill that is undoubtedly extremely useful and valuable in any kind of profession. And the best part about it is that we really have nothing to lose from it. Read the full post here. The Careers Service has advice on presentations too. 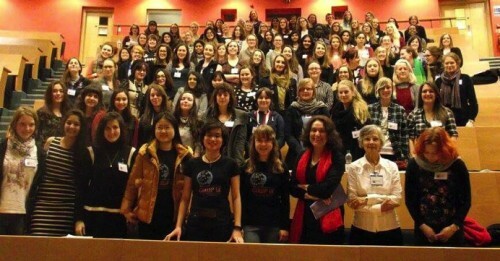 In March 2016, six undergraduate students from the College of Science & Engineering attended the Conference for Undergraduate Women in Physics held at the University of Oxford. Now in its second year, the Conference aims to help undergraduate women continue in physics by showcasing options for their educational and professional futures. Find out more – and 3rd year physicist Emma Stam telling us about her experience here.